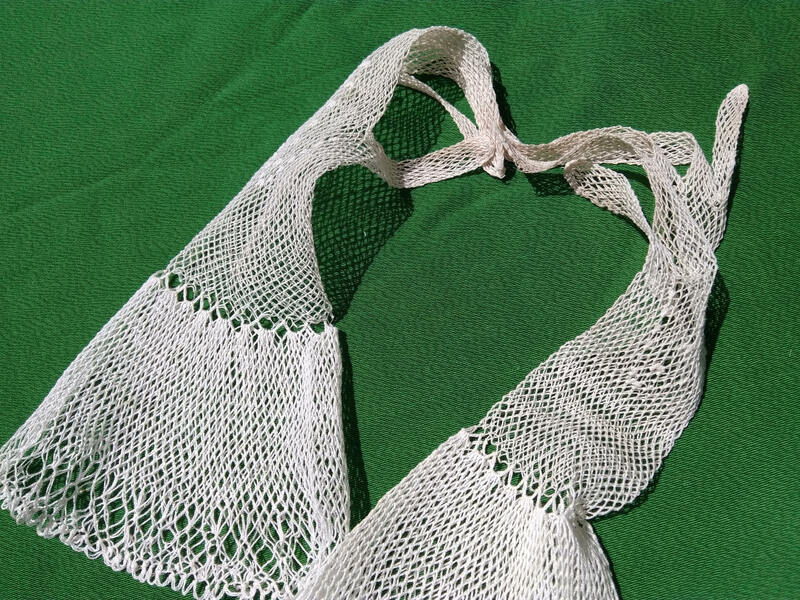 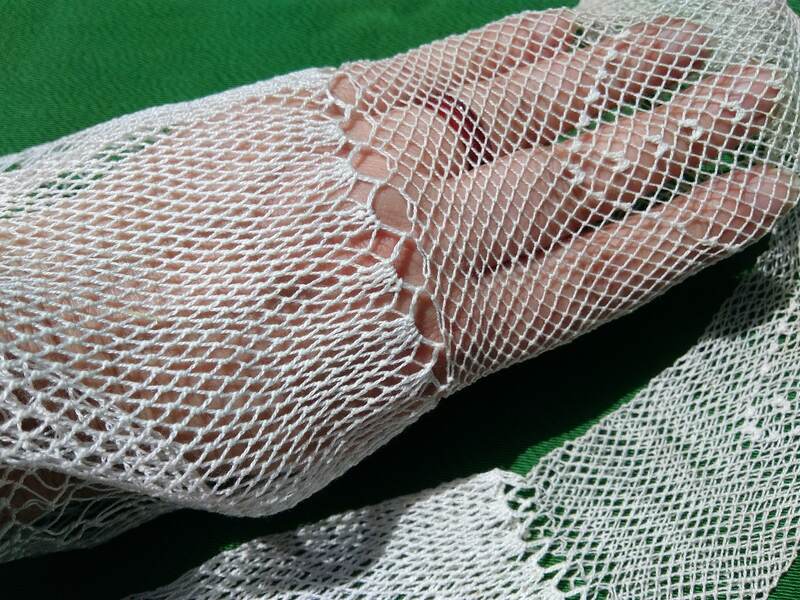 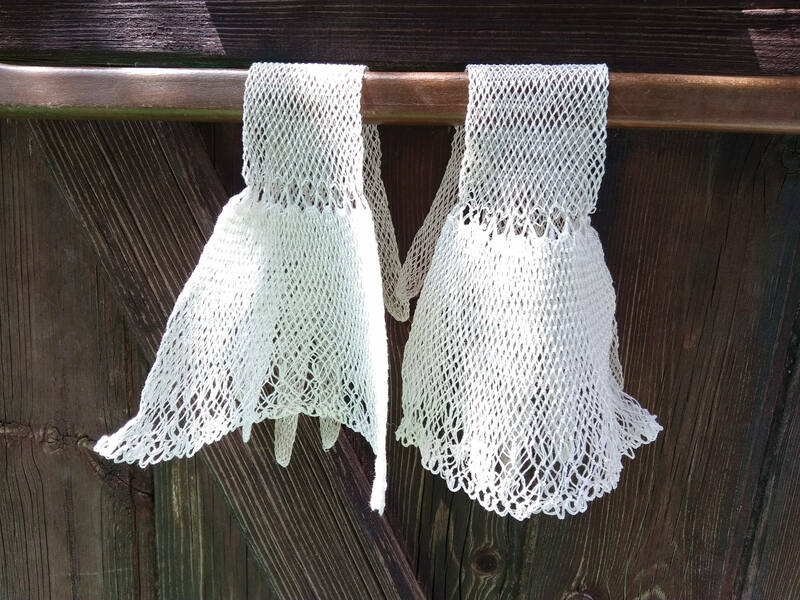 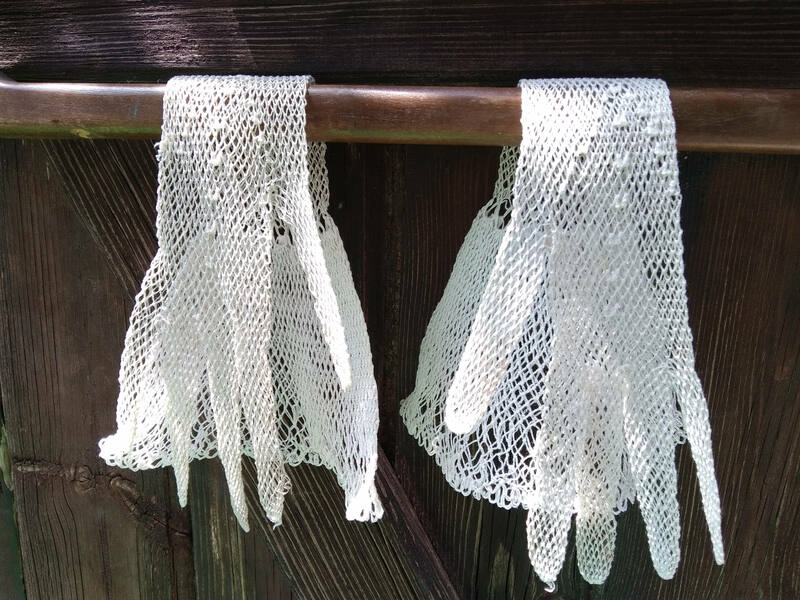 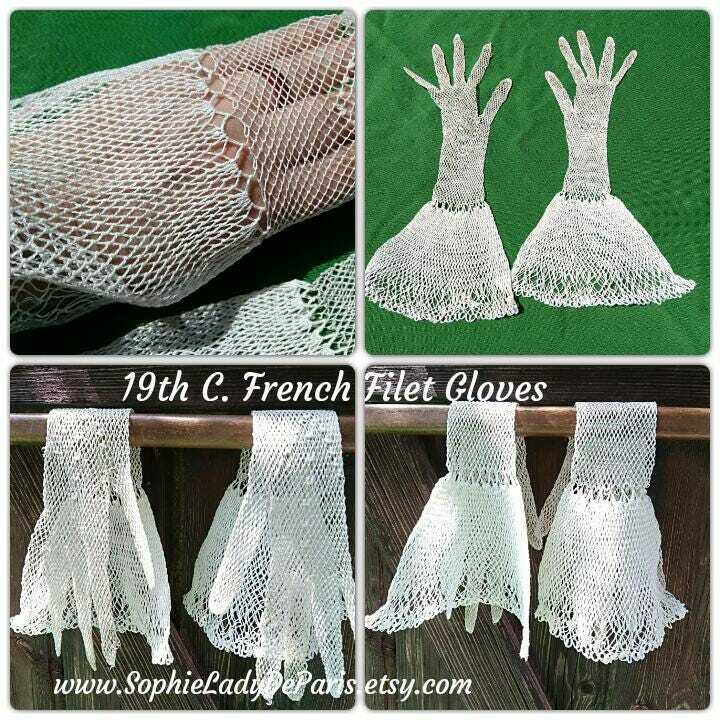 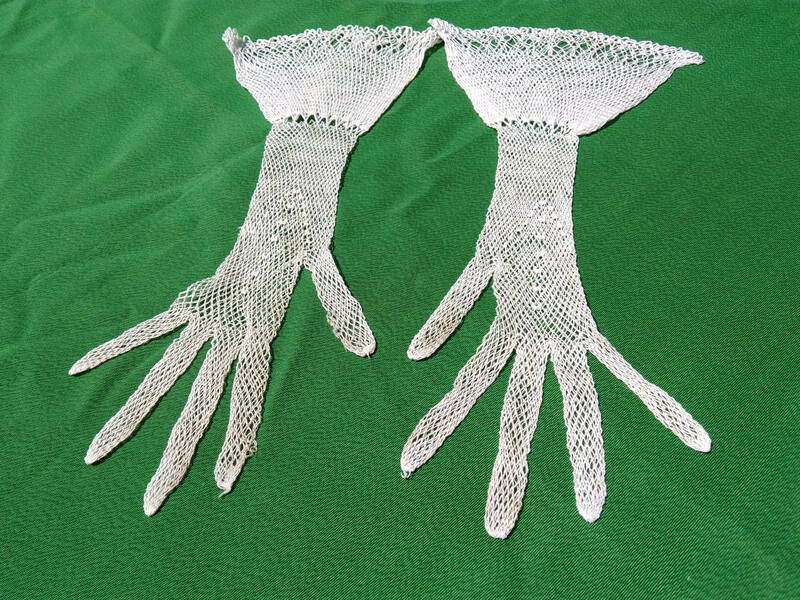 Rare Long 19th Century and early 20th white French net cotton gloves. 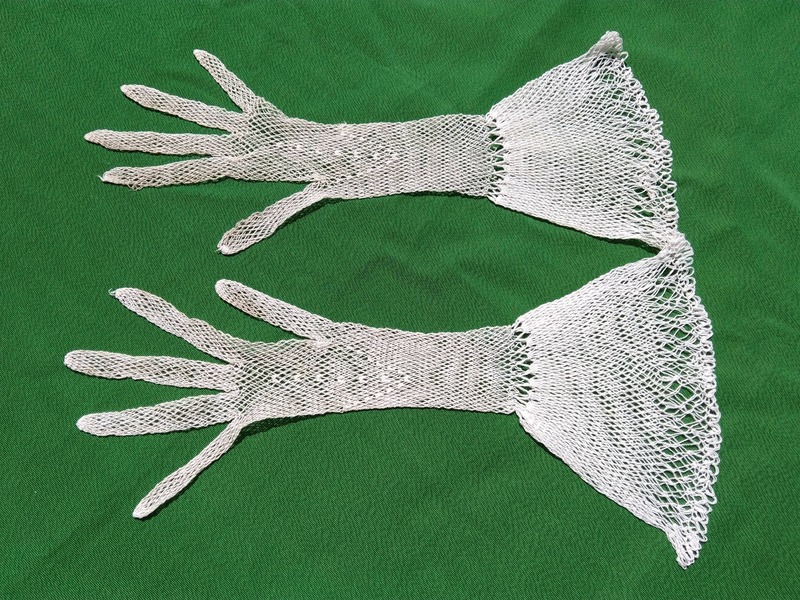 Rather Good Vintage condition, time stains, one stitch on index finger tip . 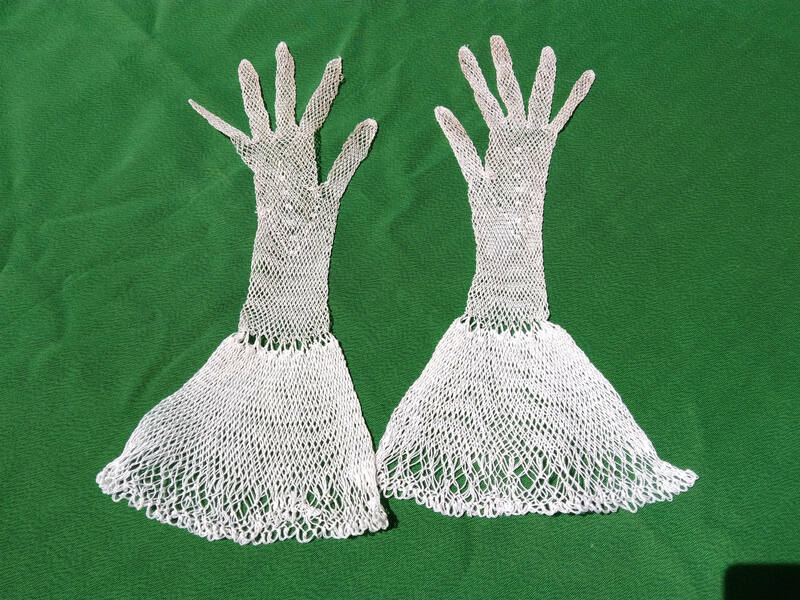 Gorgeous piece for Collectible or Museum.